For those unaware, Vaadin is a popular GWT based RIA Java web framework. You may also be surprised that the Vaadin community is 150,000+ strong. 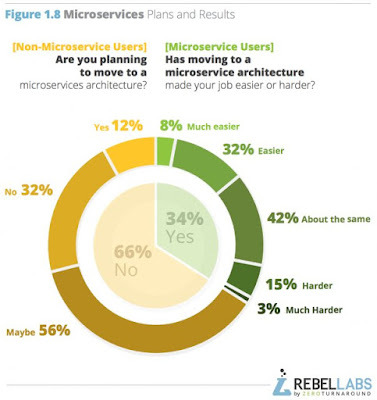 To better understand this community the Vaadin folks fairly recently ran a survey. 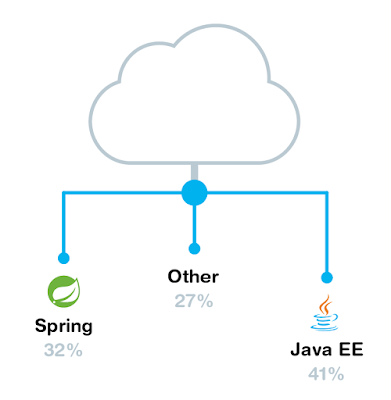 One of the things the Vaadin folks wanted to know is how often Java EE is used compared to alternatives. The results of the survey certainly look encouraging for Java EE, particularly given the seemingly perpetual nay-saying around Java and Java EE in predicable corners of our ever "colorful" industry. 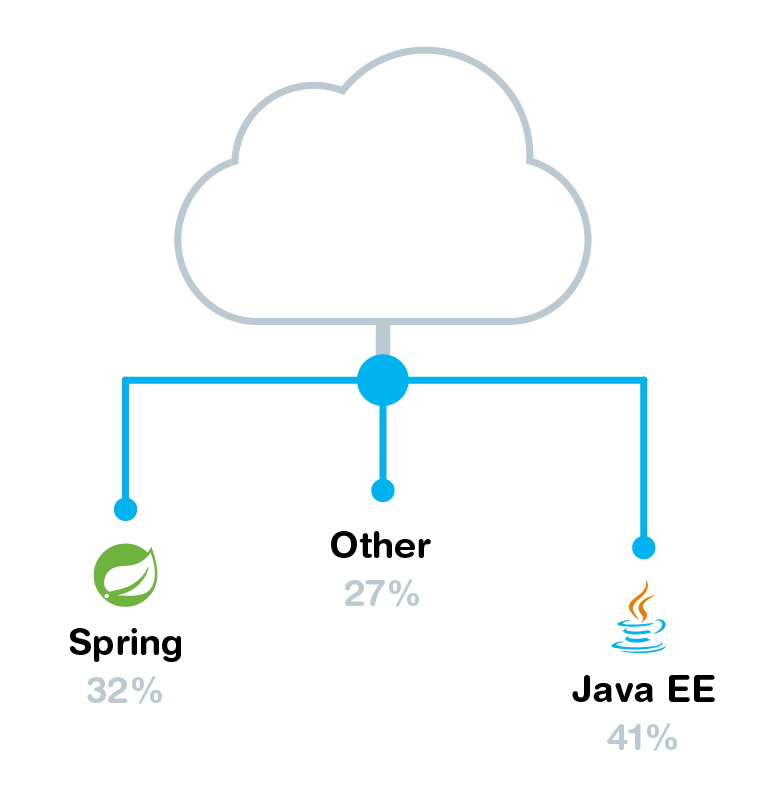 The results for Java EE usage are shown in the graphic below. 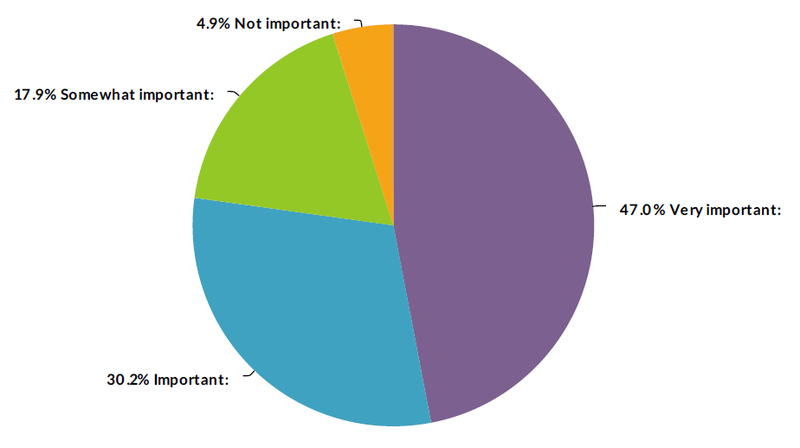 The most number of respondents - 41% - identified themselves as Java EE users. I think this is truly remarkable for a mature open standard like Java EE with a number of non-standard product vendors aggressively positioning themselves as competitors to Java EE for many years now. The relatively sizable 27% of respondents that indicated "other" is also quite interesting. 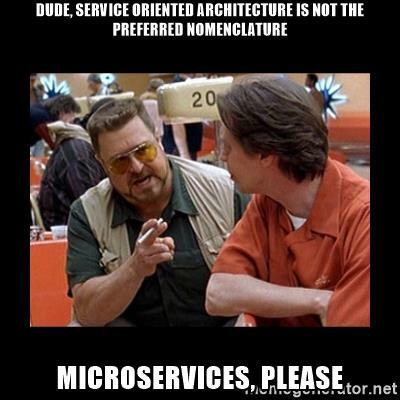 It is possible these folks simply use Vaadin as their primary server-side toolset. It is important to note though that the sample size is significant but small - 250+. That said, the survey is very reliable in one very important way. The survey was not anonymous/online but was from known and clearly identifiable members of the Vaadin community. This certainly helps reduce but not completely eliminate possible self-selection bias in an online survey. It's also remarkable how similar these results are to other larger surveys from reliable, neutral sources (the DZone survey results are in the graphic below). The survey illuminates some other interesting but somewhat predictable findings - I would encourage you to look at the entire survey results. 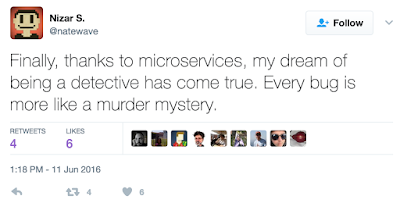 While all of this is good news, the Java EE community can ill afford to rest on it's laurels. The community has hard work ahead of it as always to continue to serve developers of all stripes. On behalf of the Java EE Guardian community it is only correct to thank everyone that indicate their support for Java EE in such surveys. Our volunteer driven work is intended to benefit you first and foremost - it is good to see that intent does not get lost in the muddle. The Java EE Security API just posted it's first early draft review. Because of the now accelerated Java EE 8 schedule, the rest of the steps towards finalization of the specification is going to happen very quickly. Java EE security is one of the most anticipated changes in Java EE 8. This is the case particularly because security is one of the last areas left to be revamped in the way most other Java EE APIs such as EJB 3 have been changed radically. As a result Java EE security is very highly dependent on things like vendor-specific GUI console wizards, vendor-specific configuration or command-line administrative tools. Pluggability, extensibility and customization is also currently challenging when the security features that already come with the application server are not sufficient. 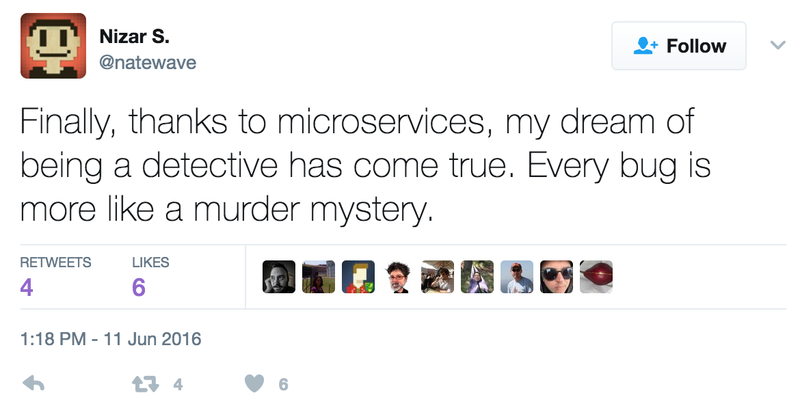 This is the main reason for the existence of third-party security frameworks in server-side Java like Shiro and Keycloak. The Java EE Security API aims to solve these important issues and promote both simplicity as well as portability, particularly on the cloud. The next step is up to you. You can be a part of the effort to simplify and improve security in server-side Java. If you have any questions I am happy to try to help - just drop me a note any time.